We provide premium Google Business View virtual tours that showcase your business across Google and let customers ''See inside'' using Google Street View technology. 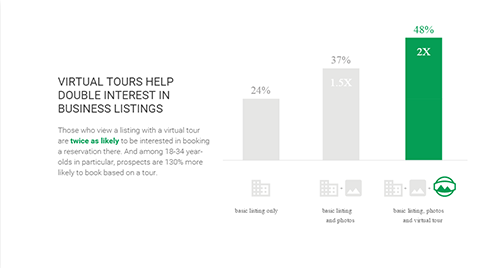 Google Virtual Tours engage new customers and double interest in business listings. The virtual tour lets customers ''See inside'' your business on Google Search, Google Maps, Google Maps for Mobile and Google +Local. You can also embed the virtual tour on your website and Facebook page. 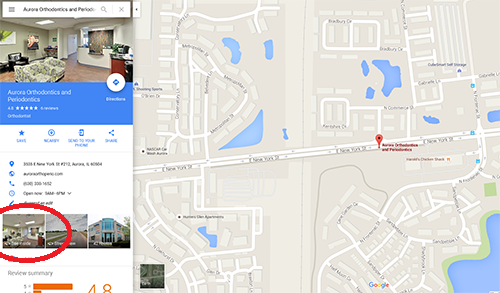 Customers can Google Business View on their computers, smartphones or tablets. It's simple, fast and affordable - call to schedule your Google Business View photo shoot today! Let Customers "See inside" Your Business! Showcase Your Business and Engage New Customers! We service all of Plainfield and a 30-mile radius around Naperville.